This is a casting call to dub original critical quotes for the Game Boy Advance game Fire Emblem Blazing Blade (simply known as Fire Emblem when it made its debut in the west). The quotes will be presented in a compilation format along with game footage and portrait cut-ins from the Fire Emblem Cipher series. The finished product will look and be presented in a similar way to how crit quotes are done in the 3DS game Fire Emblem Awakening. The final product will be uploaded to YouTube. Here is an example of what the cut-in animations will look like! As long as we don't require you to redo your lines for whatever reason (wrong intonation, mispronouncing something, etc) you will not be required to record any additional lines besides your audition. If you do need to re-record your lines however, we will give you one week to do so. Should something urgent arise that prevents you from recording we are willing to give you additional time though. The only exception for this is the three characters listed as "lead" (Eliwood, Hector, and Lyndis) and Nergal. As they are the three main characters of Blazing Blade, we intend to end the video with their final battle dialogue versus Nergal, the main antagonist. They will also be given an additional set of crit lines. Once casting is complete I will send you an invite to a discord server, but it is not obligatory to join. On discord I will post updates throughout the editing process and people will be able to leave direct feedback and influence the final product. We may also discuss additional "comical" crit lines that will play after the main segment of the video has ended. If you're a fan of Blazing Blade you might have noticed that the role list doesn't include all playable characters. Since we are using official cipher art for the cut-ins only the characters with cipher art are included in this project (with the exception of Nergal who is included but doesn't have crit quotes). Do you like Fire Emblem but are not a fan of Blazing Blade? Don't worry! We are already planning similar projects for the two other GBA Fire Emblem games Binding Blade and Sacred Stones, so stay tuned for that! Please keep in mind that some character descriptions and lines contain spoilers! 1. You don't need to have a super expensive microphone, but your audio obviously needs to sound good. With this we mean no puffing and minimal to no background noise. We don't want any distortion or echo on your voice either. This can be achieved with most mics as long as you have a good set-up. If you struggle with any of these things we recommend recording in a small room with doors and windows closed and angling your microphone while speaking. 2. Read your lines with emotion. Since these are crit lines, most are meant to be said in a smug, condescending way and/or even shouted. 3. You may audition for as many characters as you'd like! We might also cast you as multiple characters as long as your voices for them sound different enough. UPDATE: With the current amount of auditions we're now aiming to cast one voice actor per role, but you may still audition for as many characters as you'd like! 4. Since the lines are so short we highly recommend you to do multiple takes of the same line. If you use a variety of intonations and emotions it increases the chance of us hearing something we like! 5. While my co-director and I won't self cast, we might audition for this project just like everyone else. This does not mean we will automatically cast those characters to ourselves. We will ask others with knowledge of the characters and franchise for feedback before casting anyone. 6. No role will be cast before the deadline. If for some reason the deadline were to be extended, this rule will apply to the original deadline. 7. We highly recommend that you read the character descriptions carefully before auditioning to get an idea of what we're looking for! 9. If you have any questions, just ask! We'll be happy to answer them. You can contact me or my co-director FishyFried here on CCC or on Discord (Eecaruz#3680 & FishyFried#3078). 10. If you want feedback on your auditions, please contact either of us on discord! Eliwood is the young lord of House Pherae who sets out on a quest to find his missing father, Lord Elbert. He is a kind and honest young man that believes in treating everyone equally despite his noble status. 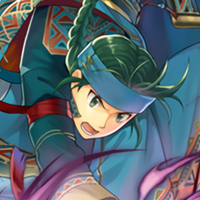 Although not starting out as the most capable of fighters, he grows and matures throughout the story, eventually becoming worthy of wielding the legendary Blazing Blade Durandal. His voice should be in the medium to high-medium range. 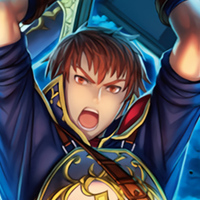 Unlike Hector who should sound confident and brash, Eliwood should just sound like a genuinely good guy who wants what’s best for everyone. 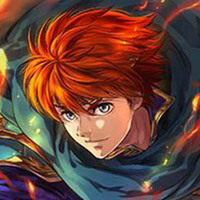 In the mobile game Fire Emblem Heroes, Eliwood is voiced by Yuri Lowenthal in English and Takahiro Sakurai in Japanese. My co-director and I agree that his English voice works well and the Japanese is a little too low. Feel free to either imitate Eliwood's English Heroes voice or do something original. His voice should be in the medium-low to low range. He is a reckless young lord and should sound confident, brash and headstrong. Imagine holding a giant axe while recording your lines. 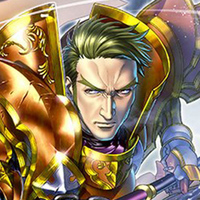 Hector is voiced by Patrick Seitz in English and Toriumi Kousuke in Japanese. My co-director and I agree that his English voice has the right attitude but sounds a little too old while the Japanese fits him perfectly. Feel free to imitate either voice with his age in mind or try something original! "I'll cleave you in two!" "A little too much is just right for me!" Lyn was born in the Sacean Plains. Her parents, Hassar, chieftain of the Lorca tribe, and Madelyn, daughter of Lord Hausen of Caelin, were killed by bandits before the beginning of the game. She lives alone until she finds a tactician lying on the ground. Upon meeting the Tactician, she decides to follow him or her in the interest of training her sword skills and avenge her tribe, who were all killed by bandits. Her voice should be medium to low-medium. She’s rather young but still a deadly swordswoman. 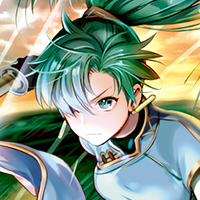 In the mobile game Fire Emblem Heroes and the Switch/3DS game Fire Emblem Warriors, Lyn is voiced by Wendee Lee in English and Ohmoto Makiko in Japanese. My co-director and I both agree that we imagine her voice to be slightly lower and less squeaky. Sain is a knight of House Caelin. A jovial skirt-chaser of a knight who considers it his "curse" to be attracted to all women. Although he is a bit roguish, he is kind, dependable and good-hearted. His voice is pretty flexible in terms of range. Sain is a casanova type character, eager to flirt with all kinds of women. He should sound theatrical, over-the-top, and passionate. Kent is a stern, uptight knight who always follows the rules. 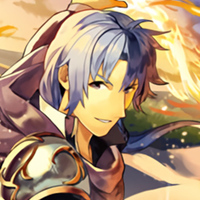 He was trained as a knight of Caelin, along with his friend Sain, who is essentially his polar opposite. He is extremely loyal to Caelin and Lyndis, devoting his life to their cause. His voice should be medium to medium-low. Kent should sound serious, composed, determined, and virtuous to a fault. Think of a traditional knight – chivalrous and dutiful. “You shouldn’t have been so reckless." 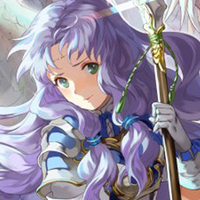 Florina is the youngest sister of Fiora and Farina. At the beginning of the game, she is still considered to be a Pegasus Knight-in-training. Florina befriends Lyndis and accompanies her on her quest to regain Caelin. Her voice should be medium-high to high. Florina is shy, soft-spoken and sometimes stutters. She has a hard time talking to people and her speech reflects this. Most of the time when she talks to men (as shown in her support with Hector) she becomes a nervous wreck. Although she is generally soft-spoken, these are crit lines and should still be said with some power behind them. In the mobile game Fire Emblem Heroes Florina is voiced by Julie Maddalena. Please do NOT imitate her Heroes voice. We want her to sound more natural and less like a chipmunk. 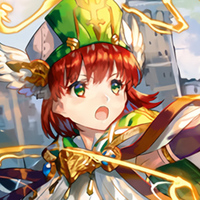 Serra is a high-maintenance cleric who is a member of the St. Elimine Church, and believes she deserves praise from everyone around her. 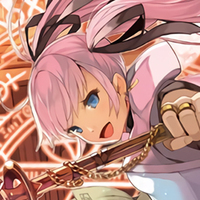 Due to her misfortunes as a child, Serra is seen as an annoying, egotistical, and somewhat cowardly cleric with a rapid tongue. In most of her support conversations, she is the main irritation for most of the characters, but for some, like Matthew, she reveals her past in the convent, hinting that her personality is just a way for her to get attention, something she longed for as a child. Her voice should be high or high-medium. Serra is excitable, boisterous, persistent, and proud. Think of a snobby ojou-sama type character. Feel free to even give her a posh accent. In the mobile game Fire Emblem Heroes she is voiced by Kate Davis in English and Ozawa Ari in Japanese. In this case, we think her Japanese voice actor is a bit closer to the youth and cheerfulness that Serra exudes while her English sounds slightly too old. The pitch works for both though. Feel free to use either Heroes voice for reference or go for something original! Rath is a Sacaean nomad who was banished from his village before the age of four, due to a prophecy that said he must leave the village to help "stop the burning". After leaving his village, he wandered the plains of Sacae for several years, always on the verge of starvation. The people of other tribes would laugh and ridicule him. Over time, he learned to no longer feel emotion, and was spared from the agonizing loneliness that he felt during his time wandering. While Rath does not display much emotion, he is a powerful nomad who is proud of his Sacaean heritage. He should sound calm but formidable. Matthew is an Ostian spy that works under Hector. Matthew's demeanor is cheerful and optimistic at best, rarely ever set back by the current situations at hand. He usually tends to give sarcastic and joyful responses to most threats and conversations thrown at him, though he has his slip ups in personality. He was in a relationship with Leila before her death at the hands of Jaffar. His voice can be anywhere in the medium range. Matthew is a cheerful, light-hearted thief that rarely breaks out of his jokester mask. His first three lines should be said in a teasing manner while the fourth one is more solemn and serious. 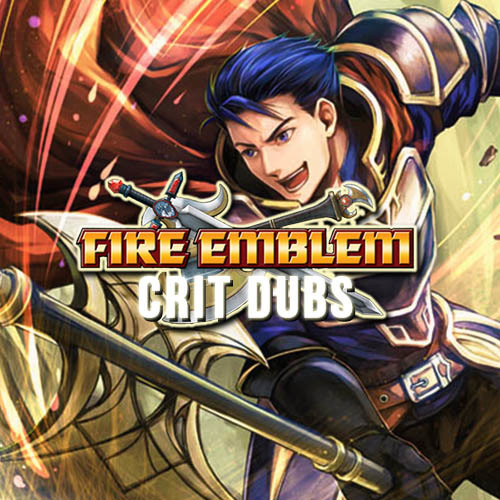 In the mobile game Fire Emblem Heroes he is voiced by Ben Diskin, who my co-director and I agree fits him perfectly. Feel free to imitate his Heroes voice or try something original! Lucius is a monk born in Etruria and sworn to the religion of St. Elimine. Lucius is very kind and gentle to the other characters, and never conveys anger towards any of them. He was once a retainer to House Cornwell and by that extension, Lord Raymond/Raven. He is often mistaken for a woman and was teased for his feminine appearance during his childhood. Despite the numerous traumatic experiences he’s gone through he is shown to be able to forgive anyone who has done him wrong. His tone should be high-medium to high. Lucius is a relatively effeminate man so his voice should reflect this to some degree. He is mostly soft-spoken and should have a calm, soothing voice. 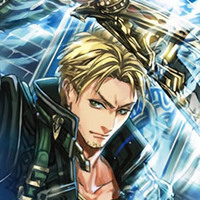 In the mobile game Fire Emblem Heroes Lucius is voiced by Michael Sinterniklaas. Feel free to imitate his Heroes voice or go for something original! Rebecca is tomboyish, helpful, bright, and enjoys cooking. She is a sweet young girl in search of her long lost brother. 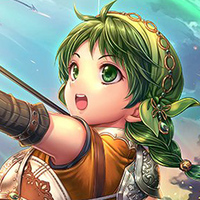 She is relatively inexperienced in combat and most of her skill with a bow comes from hunting. To make up for this, she works hard and trains whenever she can. She should have a medium-high to high voice. Rebecca is very young and always tries to be helpful despite her inexperience. She should sound bright and determined. 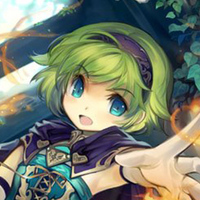 In the mobile game Fire Emblem Heroes she is voiced by Hunter MacKenzie Austin. Feel free to imitate her Heroes voice or go for something original! Oswin is a knight of house Ostia who is sent by Lord Uther to accompany Hector. He is a seasoned knight that cares deeply about both Uther and Hector. 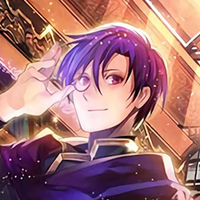 He is shown to be calm in all situations, although he is sometimes shown to be babysitting after Hector’s headstrong antics. He should have a low, mature voice. Oswin is older than the rest of the army and acts as a guardian to Hector. He should sound dutiful and devoted. Guy is a confused swordsman from Sacae's Kutolah tribe who is very single-minded in his pursuit to be the greatest sword wielder in the world, and is generally mediocre at anything that does not involve a sword. He has been known to take mercenary work out of desperation for money and food, and gets along well with Matthew. He is very eager at any chance he gets that allows him to improve his skill as a swordsman. He should have a high-medium to high voice. Guy is young and hot-headed, and his delivery should reflect this. Priscilla was a noble of House Cornwell of Ostia before the clan was annihilated. She was separated from her brother, Raymond, whom she holds dearly to her heart and spends the game pursuing him. Priscilla is revealed to be extremely polite and a bit feminine, as well as selfless, but also naïve and stubborn, much to the chagrin of those who care about her. Her voice should be in the high-medium to high range. Priscilla is an innocent child. Solemn, formal and dignified, always longing for the attention of her brother. 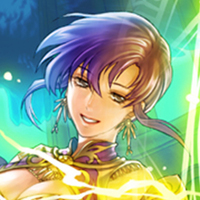 In the mobile game Fire Emblem Heroes, Priscilla is voiced by Marcella Lentz-Pope. Feel free to imitate her Heroes voice or try something original! Previously known as Lord Raymond of Cornwell, a house destroyed by Ostia for corruption, Raven is the brother of Priscilla. Due to his past with Ostia, Raven becomes distant and anti-social, coldly reminding Priscilla that he is now Raven, not Lord Raymond. Raven spends the majority of the game plotting revenge against Ostia. His voice should be low-medium to medium. Raven is cold, angry and vengeful. This is the time to channel your inner edgelord. 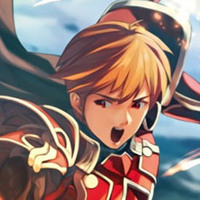 In the mobile game Fire Emblem Heroes he is voiced by Bryce Papenbrook. His delivery portrays the character very well, but feel free to do a different take on his voice! 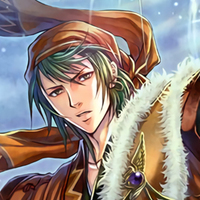 Born to a family of powerful mages, Canas is a scholar of elder magic who is on a quest to gain knowledge. His obsession with learning often leads him to neglecting the people he cares for, like his son. Canas is shown to be very kind and gleefully teaches the illiterate Nino how to read. Canas should sound scholarly, articulate and maybe even nerdy! He is always curious for new information and is observant to every detail. Feel free to add any posh accents here if you want. 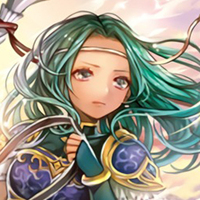 Fiora is the older sister of Florina and Farina. She is the honorable, dutiful commander of the 5th Wing of Illia’s Pegasus Knights. Shortly after her entire squadron is slaughtered by the Black Fang, Fiora is wracked by guilt and embarks on a suicide mission to avenge them. Eventually she joins her sisters to fight alongside Eliwood. Her voice should be medium to medium-low. Fiora is the eldest sister and definitely the most mature. She is responsible, honorable and loyal to her homeland. Ninian was born in Ilia. Her lineage is half-human, half-dragon. She is a quiet, sweet, polite, and beautiful dancer and is the older sister of Nils. 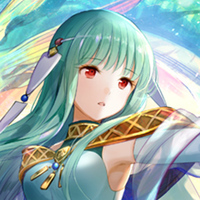 Ninian is a gentle, polite, and courteous girl, treating all of the people she can support with recognition and respect. Her speech patterns are also very slow, meaning that she pauses and thinks a lot before she speaks, most likely out of shyness. Since Ninian is a dancer she doesn't fight and thus cannot crit. 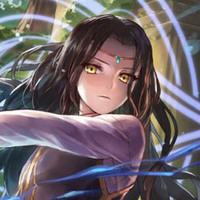 However, she is able to use rings to perform special dances to boost her allies' stats and that's what her lines are for. Her voice should be medium to high. Ninian should sound gentle and solemn. 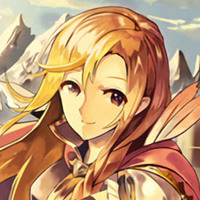 In the mobile game Fire Emblem Heroes she is voiced by Brianna Knickerbocker in English. Feel free to either imitate her Heroes voice or do something original! 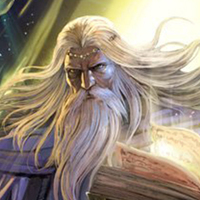 Pent is a sage living in the Nabata Desert with his wife Louise and his teacher Athos. 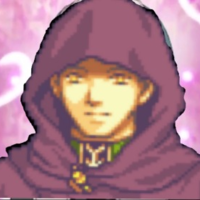 His true identity is both Count Reglay and legendary Mage General of Etruria. Pent is considered an odd noble since he is pretty much absent from his post for the entirety of the game and instead traverses the desert for secret arcane arts under the mentorship of Athos. Although he is a noble of extremely high prestige, his attitude belies that. His voice should be medium to low-medium. Pent is a powerful mage of Etruria’s highest rank. He is polite, kind, and scholarly. Louise is the beautiful wife of Pent, Count of Reglay of Etruria. She is somewhat childlike in nature, but can be overprotective as well. Louise was actually not born a high noblewoman, but rather a girl from low nobility. In order to get Pent to choose her as his wife, she gained his admiration by vowing to protect him with her bow, with which she possessed deadly skill, rather than singing and dancing. Louise is an elegant and beautiful noblewoman. She should sound kind, warm and caring. "How is this for lady-like?" Nino is a mage of the mercenary group the Black Fang. Despite being neglected and hated by her foster mother on several occasions, she has retained a sense of loving optimism and deep caring for those in need. She rarely receives compliments and treats them and those who give them with great respect. During her time in the Black Fang, she grew very close to her step-father Brendan Reed and step-brothers Lloyd and Linus Reed. Her voice should be high. Nino is an innocent child, an untainted little snowflake. She should sound kind, cheerful and young. 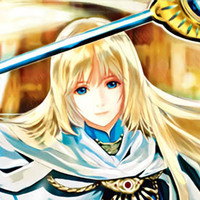 In the mobile game Fire Emblem Heroes she is voiced by Sarah Blandy. Feel free to imitate her Heroes voice or go for something original! Jaffar is also known as the Angel of Death. He is an emotionless killer in the service of Nergal until he is changed by the kindness of Nino, the first person he ever came to care for. Jaffar was first discovered by Nergal as an orphan, sleeping among a pile of dead bodies. Nergal took him in, impressed by his evident skill, and began to train him to become the perfect killing machine. His voice should be low to medium-low. 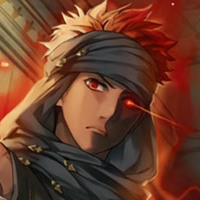 Jaffar is an assassin, think “omae wa mou shindeiru” (co-director's words not mine). Cold, emotionless, ruthless. 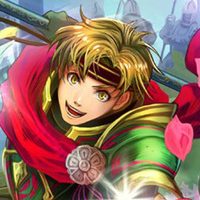 In the mobile game Fire Emblem Heroes, Jaffar is voiced by Walden James. His Heroes voice sounds a little too old for him, but otherwise fits him very well. Feel free to do an imitation of it with this in mind, or go for something original! Farina is the middle sister of Fiora and Florina. After falling out with Fiora, she leaves Illia only to be later hired by Hector. Although Farina appears to be a money-obsessed, greedy mercenary, she is shown to care deeply about her family and friends. Farina is often portrayed as an energetic and spunky girl, ready to brag about her prowess at any time. Athos is one of the Eight Legends who helped drive the dragons out of Elibe during The Scouring. He is considered a living legend due to his obscene longevity and arcane knowledge. A long time ago, Athos met Nergal researching dragons and the two became close friends. Now he joins Eliwood and gang in order to put a stop to Nergal’s madness. He should sound old, preferably with a medium to low voice. Athos is a great sage, full of wisdom and knowledge. 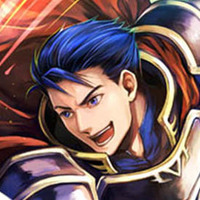 He is greatly respected by all of Eliwood’s party with the exception of Hector, who calls him Greybeard. Think Dumbledore, Gandalf kind of characters. Ursula is known as the Blue Crow amongst the members of the Black Fang. She is often portrayed as a cold, heartless assassin to her targets. Ursula never hesitates to coldly remind those under her the punishment for failure, and expresses little concern for any members of the Black Fang, with the exception of Sonia, whom she worships. Her voice should be low to medium-low. Ursula should sound mature, cold, and merciless. 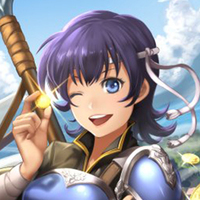 In the mobile game Fire Emblem Heroes she is voiced by Misty Lee in English. Feel free to imitate her Heroes voice or go for something original! Lloyd is known as the White Wolf and is the elder of the Reed brothers. While both brothers are close with Nino, Lloyd is the caring, kind and understanding brother. Unlike his younger brother, Lloyd is calm and composed, willing to take any order that his father gives. In his own words, "The brothers Reed dispense the Fang's justice." 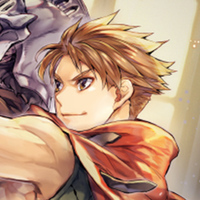 Lloyd is a skilled swordsman who values family above all. He should sound confident. 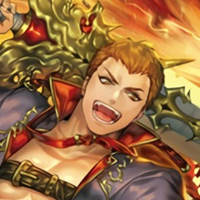 In the mobile game Fire Emblem Heroes he is voiced by Kaiji Tang in English. Feel free to imitate his Heroes voice or go for something original! Linus is known as the Mad Dog and is the younger of the Reed brothers. Linus is described as rash, impulsive but extremely loyal to his siblings and loved ones. He shows deep respect to his brother, abiding his orders, though seems to be wrought with grief after his death and loses the ability to reason. His voice should be low, medium-low. Linus is pretty much a giant muscle head with abs of steel and a receding hairline. He should sound younger than Linus but louder and impulsive. Limstella is a morph, an artificial human, created by Nergal. She is what Nergal claims to be “perfect power and perfect beauty”. As a morph, Limstella has no emotions whatsoever and exists to carry out any and all of Nergal’s tasks. Limstella seems indifferent to almost everything, even her own death, at which point she remarks that she feels 'sorrow', but acknowledges that this emotion is artificial. Limstella is not human and does not possess much emotion, if any. Honestly, just sound as monotone and dead as possible. Although she is referred to with female pronouns and uses the female sage model, Limstella is a morph and thus genderless. A feminine or slightly more androgynous voice could both work for her. “Everything is for the sake of my master." Note that while this character does not have any critical lines, he’ll have more dialogue than most others. At the end of the video, we intend to have the three main lords dub their final battle quotes vs. Nergal. 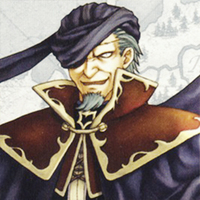 Nergal is the main antagonist of Fire Emblem: Blazing Sword. He was not always evil and at some point in his life, wished for nothing but a place where humans and dragons could coexist peacefully. Nergal eventually crosses over to the dark side after doing some "freaky voodoo human experimentation stuff". However, if you should complete the special ending for Blazing Blade, the truth behind Nergal’s madness and motivations are revealed. His voice should be in the low to medium-low range. Think of a cruel, uncaring mad scientist type character. Nergal is so consumed by death and madness that he’s forgotten what it’s like to be human. "So you're here, Eliwood. I thought losing Ninian might distract you. Have you forgotten her so quickly? How heartless." "I cannot understand you, Hector of Ostia. Why would you do all of this for Eliwood? Is this miserable thing called friendship worth dying for?" "Little girl from Sacae... You'd do well to vanish. One such as you is no match for me." This is an extra role that will have his crit quotes played at the end of the video. Despite being an extremely minor character, his one sentence speech has turned Denning into a minor fad within the Fire Emblem community. "This is a message from Lord Nergal, I await you on the Dread Isle."